Green Line | Park View, D.C. When I first moved to Washington in 1994, the one piece of advice that many, many people gave me was “Avoid the Green Line — there is nothing good on the Green Line.” My how but times have changed. 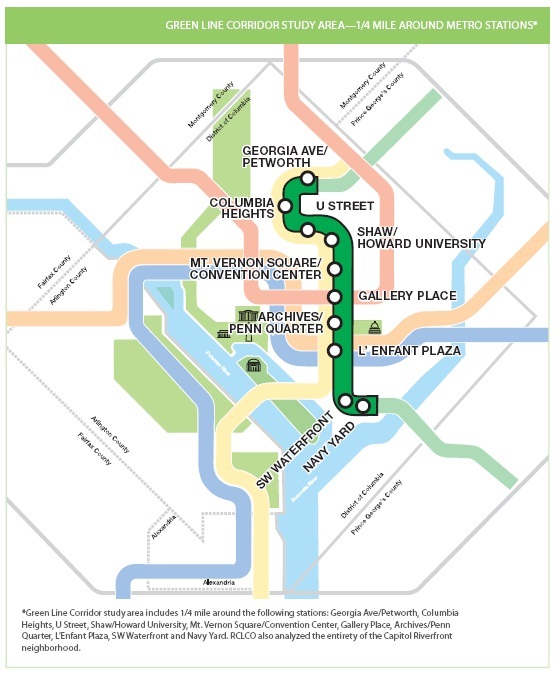 Today, the Capitol Riverfront BID released the report they commissioned from Robert Charles Lesser & Co. on the economic health and commercial viability of the neighborhoods served by the Green Line stations between and including Georgia Avenue/Petworth and Navy Yard. A read of either the summary report or the full (313 page) report is interesting. As you read through either report, keep in mind that Petworth is used throughout as shorthand for the 1/4 area around the Georgia Avenue/Petworth Metro, so that data is inclusive of the Park View/Ward 1 area served by the station. of lost market share of population and jobs to suburban competitors and has become a destination of choice not only for professionals but increasingly for the companies and organizations for which they work. 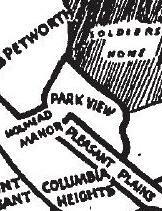 With as much time and energy that has been focused on Metro Stations this year, particularly with names, I thought it would be interesting to dig into the history of the Georgia Ave-Petworth station. While there are many who feel that there was a missed opportunity by not changing the name of the Georgia Ave-Petworth station name to something better and representative of its location, the WMATA board did approve five other name changes. 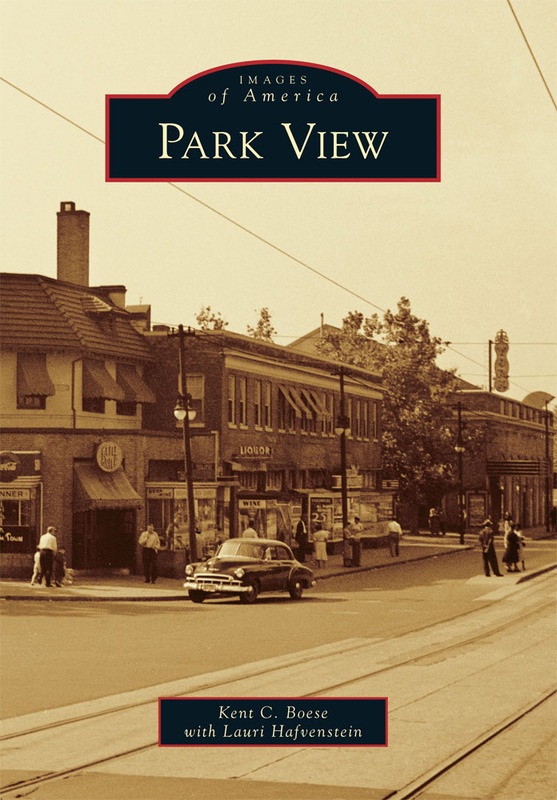 I’m willing to wager, however, that most residents debating the merits of the station’s name may not be aware that the location of the Georgia Avenue station was not originally to be at New Hampshire Avenue, or there was once a Petworth station planned as well as a Georgia Avenue station. As Zachary M. Schrag outlines in his book on the Washington Metro, the Green Line would take more than two decades before the first stations were opened in May 1991 and it would be another decade before it was completed. The delay, Schrag continues, resulted as much from extreme sensitivity to inner-city demands as from official disregard. 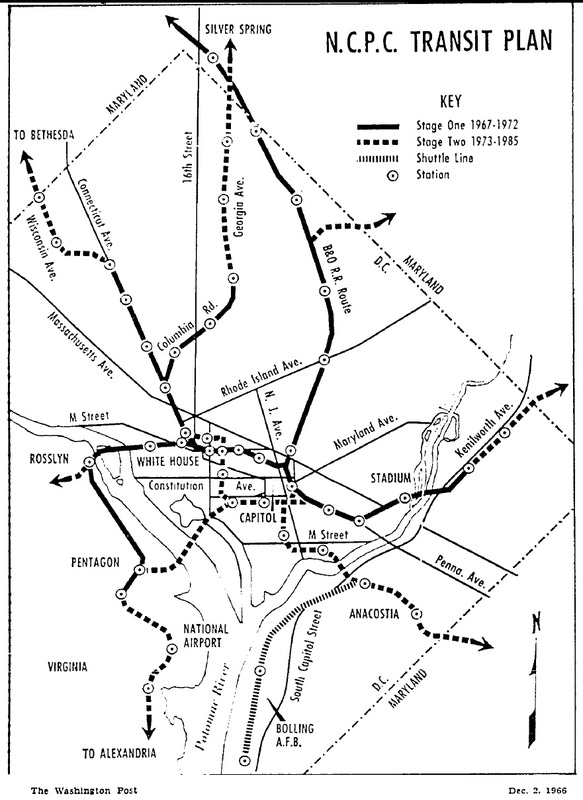 The Red line was authorized in 1965 and remained largely as planned during its construction. The trunk portion of the Blue and Orange lines was approved by Congress in 1967. The Green line was not authorized until December 1969 after substantial work had already been done on the other trunk lines. While the Green line from its conception was scheduled for a late start, late originally meant September 1977.